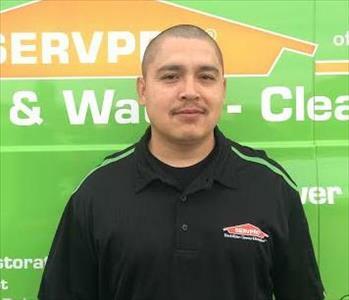 SERVPRO of Glendora/San Dimas takes great pride in being a part of the Glendora/San Dimas community. We understand that communities like ours hold America together. We want to do our part to ensure the Glendora/San Dimas community thrives by helping those less fortunate, keeping the area safe and making our community the best it can be. SERVPRO of GLENDORA/ SAN DIMAS was invited by “Citrus Valley Association of Realtors” to join them for their eighth annual summer kickoff block party. Big thanks to Mr. Joey Vargas for allowing SERVPRO of GLENDORA/ SAN DIMAS the opportunity to be a house sponsor for the 2016 Summer kickoff! Sales Manager Doug Beach and Marketing representative Nicole Parrish had the opportunity to host a table/booth in model home estate #4. Hundreds of realtors, agents, and brokers flooded the four new model homes in La Colina estates in Glendora. Everyone visited the four new model homes in the estates, each luxurious and beautiful, which were sponsored by Covina Escrow, SERVPRO of Glendora, Banner Bank, and Residential Bancorp. As part of the 2016 Summer Kickoff, each new home had a different theme for the food that would be served. The four homes featured South of the Border, Western BBQ, Taste of Italy and Asian Fusion. Every home had delicious food and each place had a drink vendor offering wine and beer options sponsored by CRMLS that several guests delighted in.There was also the thrill of the NBA Finals, Golden State Warriors VS Cleveland Cavaliers which was being broadcasted in all four of the La Colinas model homes. Music filled the air put on by DJ Robert Reyes from Every Occasion Entertainment. Everyone enjoyed the block party from 6:00-9:00 PM. Each home had various table sponsors including: Dream Trips Vacation, Equity Lenders of So-Cal, Morrison property Inspection, Haute House Design, Wells Fargo Home Loans, Finance of America Mortgage, SCE Federal Credit Union, DEE Sign Company, New American Funding, and Creative Gift Basket Service. Each of which were there to add to the excitement of the 2016 Summer Kickoff. As if the fun couldn’t get any better, SERVPRO of GLENDORA/ SAN DIMAS had a prize wheel at their booth and encouraged everyone to drop in a business card for a chance to win the raffle item and a prize. The best part of the prize wheel is that everyone who gave it a try was an automatic winner. Congratulations to Ms.Terry from Bay Equity Home Loans for being SERVPRO of GLENDORA/ SAN DIMAS raffle prize winner!